Wow, what a busy week it has been already! The last couple of nights I have had to rely on leftovers. 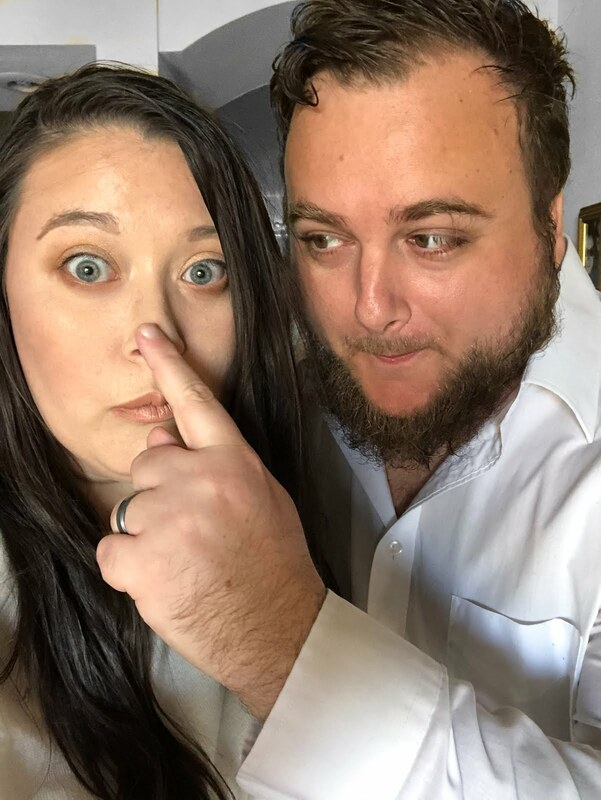 Which is fine, don't get me wrong, but sometimes it is nice to be able to find a little bit of time even on the busiest of days to prepare a delicious homemade meal my husband and I can enjoy together, even if it's for just a few minutes before we return back to work. 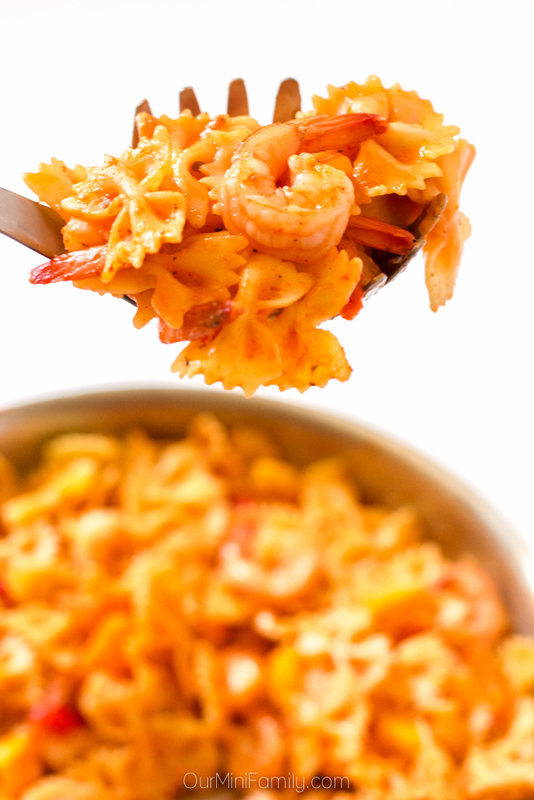 Today, I'm sharing one of my favorite one-pan dishes--Cajun shrimp pasta! 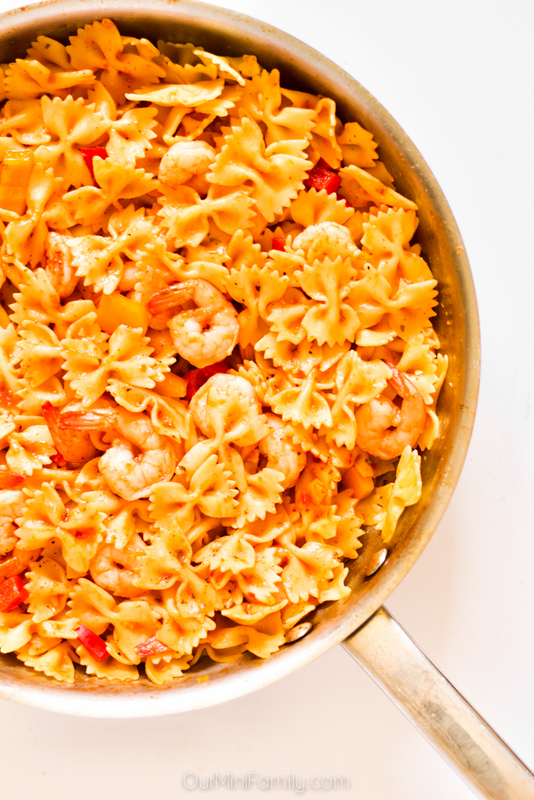 This pasta dish features delicious shrimp seasoned in Cajun flavors and it is simple enough to make all in one pan with some of our most common pantry items we almost always have on hand at home (including traditional Prego® Italian Sauce). Whip up this pasta dish when you're in a pinch and forgot about dinner--it's perfect for back to school time and last minute weeknight dinners! Ready to shop for delicious Campbell Soup Company product ingredients? Hover over the photo below to click through to Walmart.com and purchase them! Heat a large stovetop pan to medium-low heat. Pour the pasta and the water into the pan. Cover the pan and let it simmer for 5 minutes, and then stir. 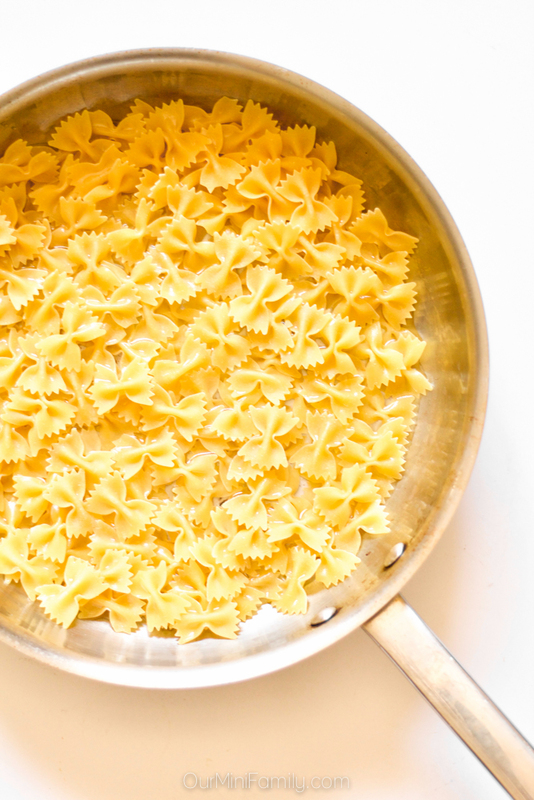 Allow the pasta to absorb the water and cook entirely, stirring occasionally (i.e. about 10 minutes on medium-low heat). Turn down the heat to low. Pour the frozen shrimp into the pan, stir it into the pasta, and cover for another 5-10 minutes and allow it to begin to thaw and warm up. While the shrimp warm up with the cooked pasta, dice the bell peppers and remove the seeds. 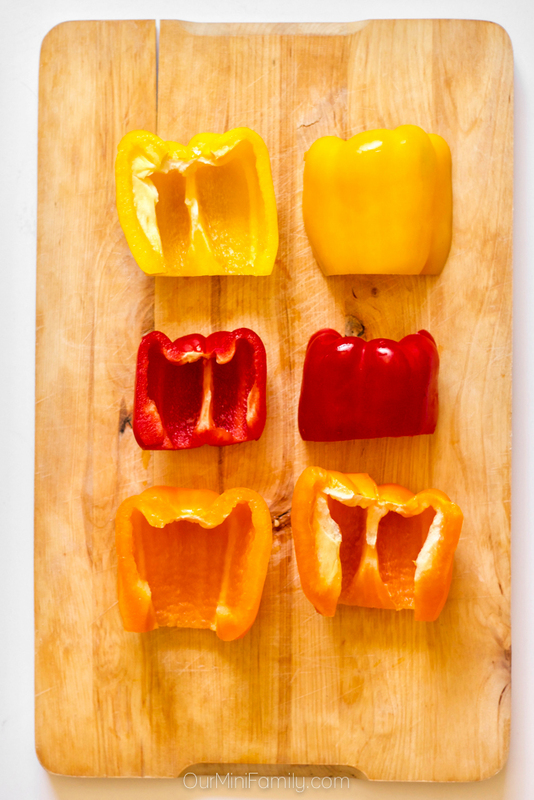 Stir in the Prego® Italian Sauce, bell peppers, and all of the seasoning. Stir well. 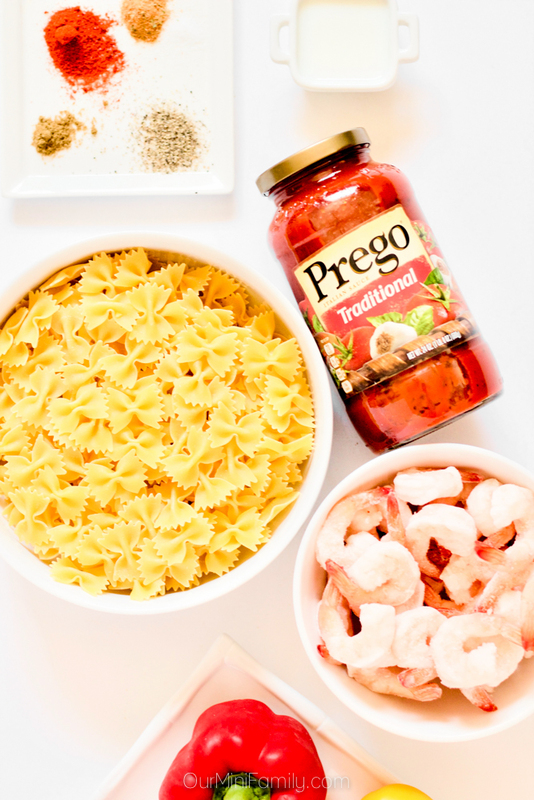 Keep the pasta on low heat until the shrimp is completely warmed up and the pasta and shrimp have begun to soak up the Prego® Italian Sauce and seasoning. Since Prego® Italian Sauce has a rich flavor, color, and thickness that come from hours of simmering, it is perfect for preparing my favorite one pan dishes! Prego® Italian Sauce (Traditional) is perfect for so many of my favorite weeknight dinner recipes, and that is why we always pick some up when we are at our local Walmart, along with Pace®, Campbell's® Condensed Chicken Noodle Soup, and all of our other pantry essentials! Don't forget to save this recipe to Pinterest and Facebook! 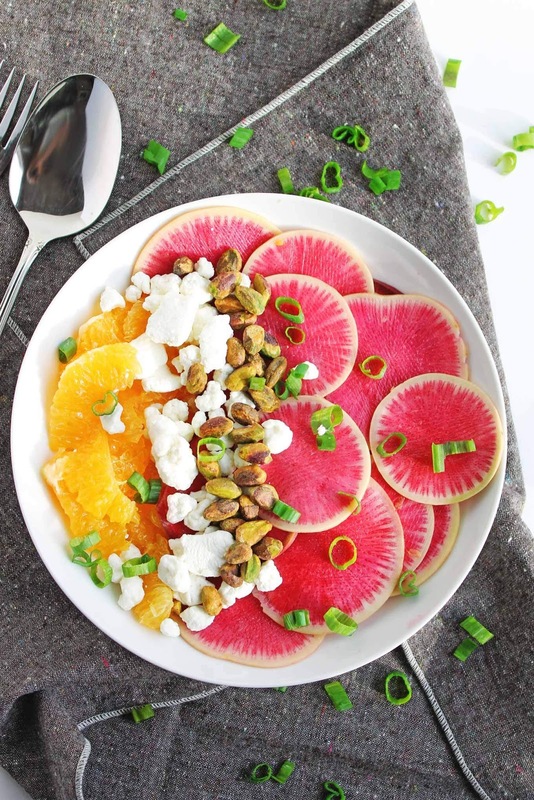 Click here for even more recipe inspiration! That sounds like a really tasty meal for seafood lovers. I am a fan of easy meals that can be whipped up in one pan! I totally need to whip this up for myself the next time my husband is out of town. I love shrimp and he hates it so I am always looking for creative ways to enjoy it when he isn't around! One of the first recipes I created with my husband was a similar cajan shrimp pasta. This version sounds easy and delicious. this looks great, a combo of food I wouldn't have imagined, the salsa with prego sauce! great idea! Prego is a household name for us. I cook with Prego pasta sauce a lot. Loved your post as well. Gotta make some pasta tonight. Oh this looks delicious. like the combo of this with the cajun and i am also feeling the one pan meal type of thing, perfect for the busy evenings. Oh yum! This is a recipe I'll definitely have to try. I love finding new dishes that are easy enough to make even on the busiest of days, and I've been having a lot of those lately. Easy peasy lemon squeezy on this meal. Looks amazing and one for my weeknight line up when I'm overwhelmed. Thanks for this recipe, it's everything I love: pasta, shrimp and salsa!! It looks amazing! I love cajun anything because it's so tasty and the kids love it too! I would love to give this one a try, it makes clean up easy because you're only using one pan. Yum! This looks like a delicious recipe! I am allergic to shrimp but think I could sub chicken! Oooh yum! I've had this at a a diner before but I've never thought about making it myself! Now I have to try this out! Love pasta and spicy Cajun flavor! I also love shrimp so my husband and I would love to make this. Would be great as a date night meal for us to cook together. This looks and sounds like a yummy recipe. I would love to try making this sometime! I love one-pan meals, less washing up and they are generally quick and easy! This looks like a great family option! I love shrimp and cajun flavors! This looks so easy and has all of the flavors that I love and even pasta for the kids. This is a must try. Wow, what a quick and easy dish! I always have a few jars of Prego in our pantry---might have to give this one a shot soon! Now this my kind of yummy dinner! I always have a jar of Prego and some pasta in my pantry and this recipe is perfect to add to my dinner rotation! This looks so good! I love shrimp but always forget about using tomato sauce and cajun spices. Pinning this for later! Shrimp is something we have every once in a while but I dont do much with it. I am going to have to try this recipe next time we decide to get some.